Evelyn was born in December 1876 in Steyning, West Sussex. 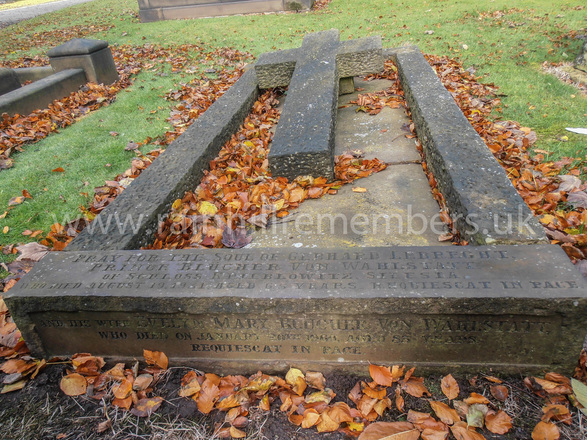 She was the fourth child and eldest surviving daughter of Frederick Annesley and Hon. Isabella Stapleton-Bretherton. In 1907 she married Count Gebhard Blucher - a Prussian Count. He was born in Silesia in 1865, the son of the third Prince Blucher who was descended from the great Prussian General, Field Marshal Gebhard Leberecht von Blucher (1742-1819). The General was given the title “Prince” and estates in Silesia (now part of Poland) as a reward for his contribution to Wellington’s victory over Napoleon at the Battle of Waterloo in 1815. 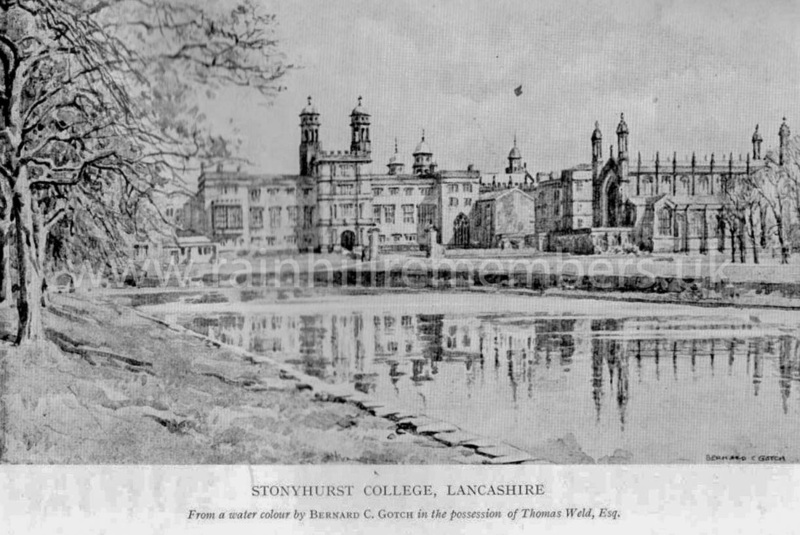 Count Blucher was brought up as a Roman Catholic and received a cosmopolitan education including a period at Stonyhurst College in Lancashire. He had travelled widely in Europe and in South Africa partly on business and partly for pleasure – game-hunting and other ventures. On one occasion he lost four fingers on his hand to frostbite. Later, during WW1, this injury prevented him from being expected to join the German army to fight against the British forces. After their wedding on 19th August 1907 at Westminster Cathedral in London, Evelyn and Gebhard Blucher lived in London, mixing with the aristocracy and crowned heads from Europe. In 1908, Evelyn was asked by the German Emperor to launch a new war ship to be named SMS Blucher. This was in honour of her husband Gebhard Blucher’s ancestor who commanded the Prussian forces in the Battle of Waterloo, 1815. War was declared on 4th August 1914 and the couple were forced to leave England to be interned in Berlin. They left London on 6th August. Evelyn wrote “ … we had to hurry away, leave our London home and pack at a moment’s notice and flee because we were Germans” They stayed at the Hotel Esplanade with other displaced aristocratic families from Europe. Whilst in Berlin, Gebhard volunteered for service with the Knights of Malta – a Catholic branch of the Knights of St John. Evelyn spent time helping British prisoners of war and tried to send messages to their families through her mother, Hon. 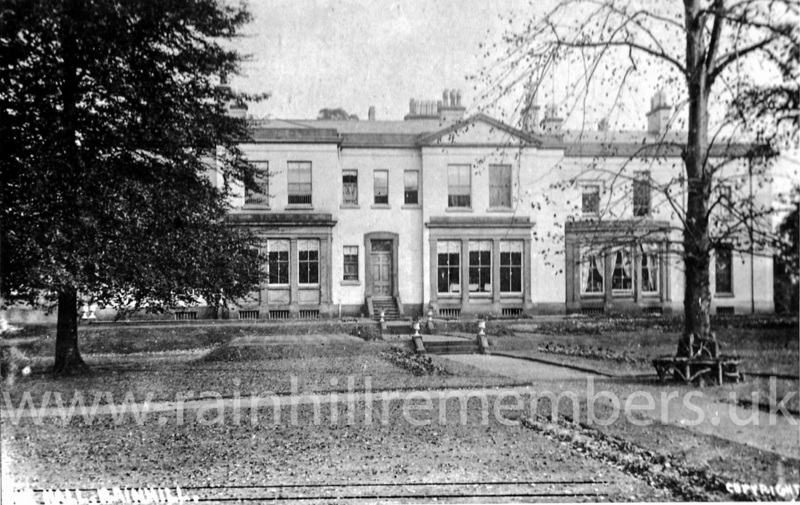 Isabella Stapleton-Bretherton, who was living at Rainhill Hall (later known as Loyola Hall). “I wish I could add here a few of the letters we have received from and about the wounded and missing and prisoners of war. In this work all my family have helped incessantly, especially my sisters Edith and Monica, whose weekly letters have enabled us to glean an enormous amount of information for anxious relatives at home….."
During her time in exile, Evelyn wrote regularly to her mother and managed to receive news of her family particularly of her four brothers Frederick, Edmund, Wilfred, Vincent and her nephew Osmund who were in active service in France. When his father Prince Blucher died in 1916, Gebhard inherited his father’s title and estates in Silesia. Evelyn became Princess Blucher. 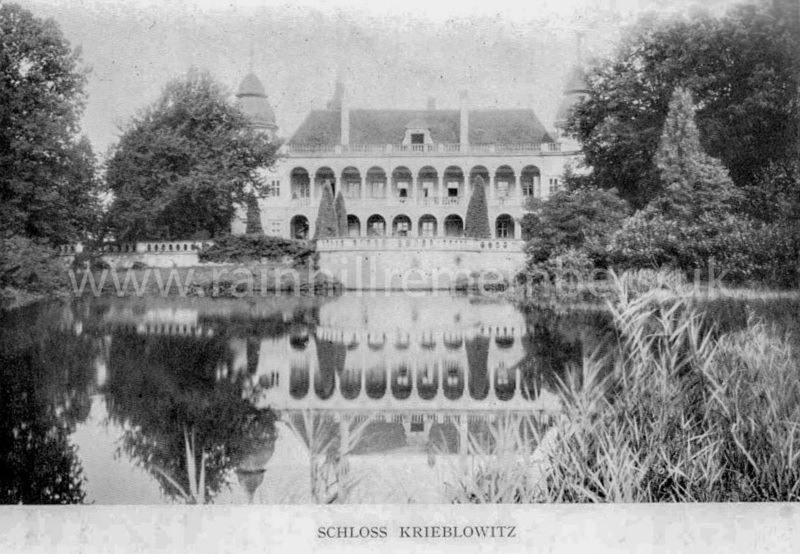 For a time during 1918 they moved to live in the castle of Krieblowitz. 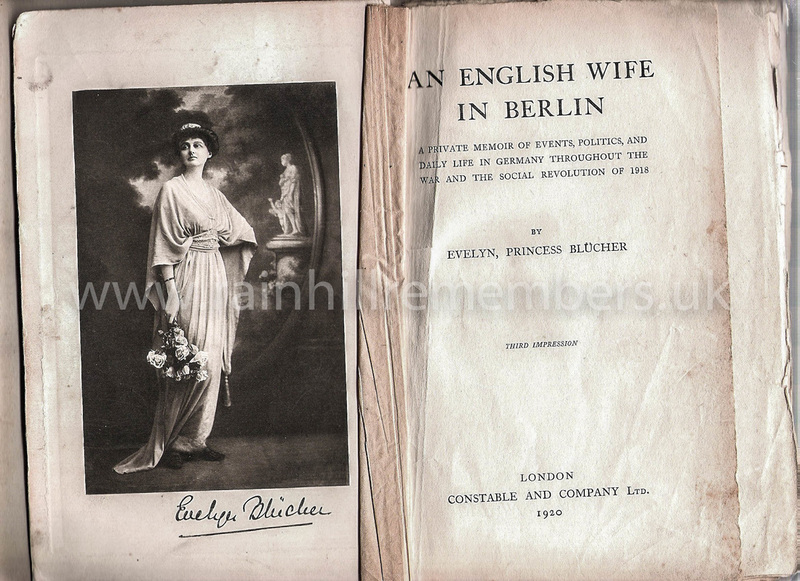 After the war in 1920 she published her memoirs ‘An English Wife in Berlin’. The book achieved international acclaim. The story of Evelyn and her Prince was recorded by the BBC as part of their 'World War One at Home' series and can be heard by clicking HERE. ​In 1931 Gebhard died after a long illness. He was buried in St Bartholomew’s churchyard. ​Gebhard wrote an autobiography –‘Memoirs of Prince Blucher’ edited by Evelyn and Major Desmond Chapman-Huston. Published in London by John Murray in 1932 (now out of print).